I am a graduate of Evolve College in Adelaide with a Diploma of Remedial Massage (Dip RM). 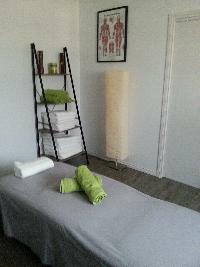 I am also a qualified SLM Bodywork Myotherapist and a registered member of the Association of Massage Therapists (AMT). I am also a Provider of remedial massage services for Return to Work SA – I can provide treatment for specific soft tissue disorders or dysfunctions that will assist you in your recovery and help to support you to stay at or return to work as soon as it is safe for you to do so. 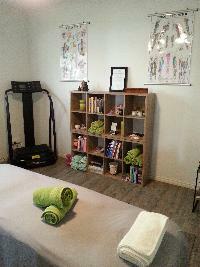 My massage clinic is attached to my home on Beach Road in Goolwa. It has a separate side entrance leading to a waiting room and has space for client parking in the driveway. I have provider status with most healthcare funds and have HICAPS & EFTPOS facility. Throughout your massage experience I will focus on you and your needs so that your goals become mine. Each therapy session becomes collaborative as I tailor the effects of your massage treatment to your particular preferences and what is best for your body. You can relax because you will be able to direct the massage pressure to your level of comfort.